Scarlets have received a suspended fine of £7,780 for naming Regan King's son Jacob Cowley in their squad for the defeat at Racing 92. Cowley, 19, was an unused replacement in January's Champions Cup tie but the club admitted naming him "in error". 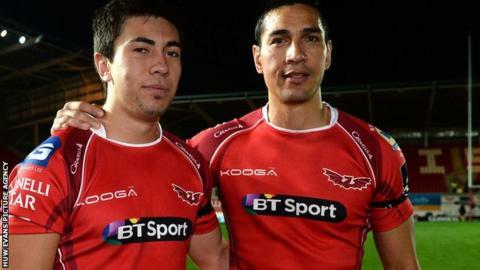 European Rugby sanctioned Scarlets for "a misconduct complaint" of not registering the player for Europe. The fine will be payable if Scarlets are found to commit further breaches of tournament rules up to May 2018. Cowley played alongside his former New Zealand international father King on his Scarlets debut in October.